We joined a CSA this year, taking over Greg and Mekayla’s fruit share. 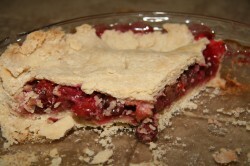 This week we got 3 lbs of pie cherries and a huge bundle of rhubarb. 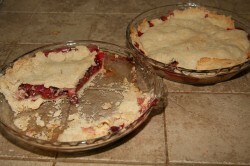 That sounded like pie to me. I have never made cherry rhubarb pie before, only strawberry rhubarb, but I found some recipes, and decided to give it a go, using mostly this recipe, with my mom’s crust recipe. 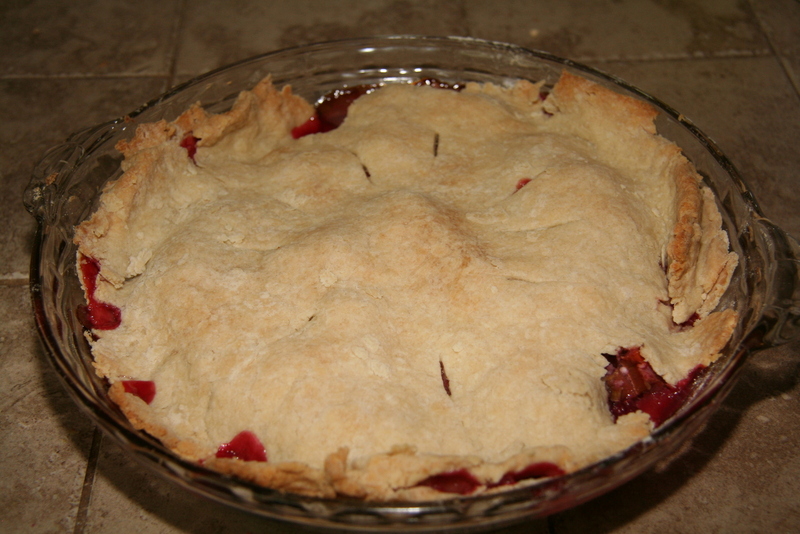 I haven’t made pie in about 10 years, and I know that making the crust is tricky. I knew it wasn’t going well while I rolled it out. I kept adding more and more water. The fourth ball I rolled was finally about right. I need to get back in practice. In spite of the pie not being super well constructed, it still tasted very good. I recently bought a new lens for my Canon Rebel XT. I debated for about 6 months between a new body, and one of three lenses, the 17-85mm f4/5.6 EFS, the 28-135 f 3.5/5.6 EF, and the 17-55 f2.8 USM. I ultimately decided that I’d rather have a new lens than a new body. My body is 5 years old now, but the only major thing I feel like I am missing is video. I also learned that some of my accessories for my current body would not work with a new Rebel, in particular the battery grip, which is probably my most expensive accessory, at about $150. I have several lenses – the kit lens for my Rebel, which is an 18-55mm EFS, a 50mm f 1.8 single focal length, and a 28mm f1.8 single focal length. I really like the 28mm, but my wife frequently wants some zoom capability. 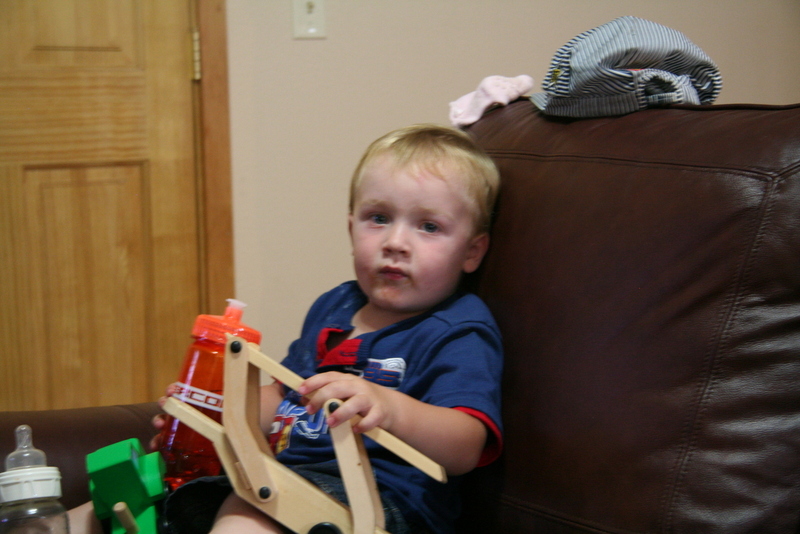 My 28mm lens has USM focusing though, which is very nice, and I like being able to get good indoor shots without flash. Speaking of focusing, I had noticed recently that my 18-55mm seemed to be having trouble auto-focusing, which is what led to me consider a new lens. I decided that I definitely wanted a USM lens. I had almost decided on the 28-135 lens, which was the cheapest, but ultimately decided that I wanted to be able to go a bit wider than 28mm for my all purpose lens. So far I am very happy, especially with the image stabilization. It is far better than I had expected. Normally I don’t take pictures slower than 1/30 of a second, but I was able to capture a pretty decent shot at 1/4 of a second. 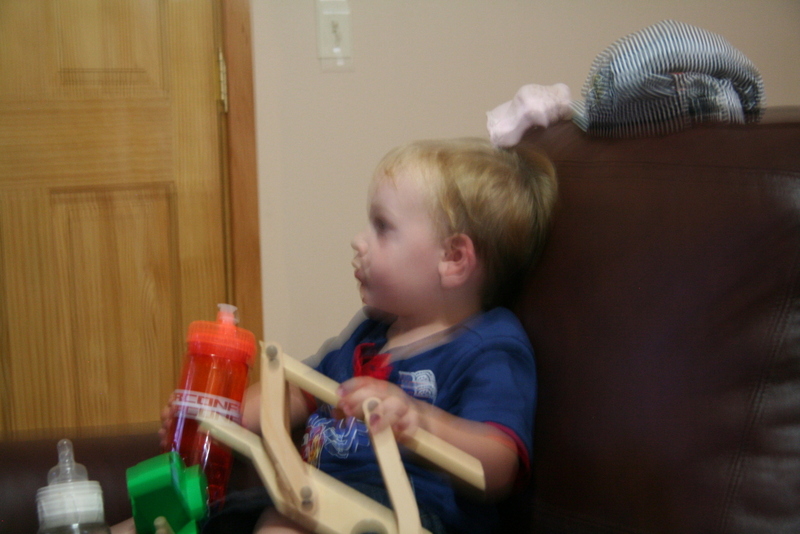 I took two versions of the picture, one with and one without image stabilization. There is a dramatic difference. 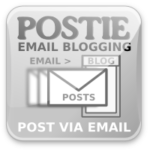 Yesterday I released Postie version 1.4.2, the WordPress plugin which gives you advanced features to post to your blog via e-mail. I haven’t done much work on Postie in the last several months, so I finally just decided to call the development version stable, since lots of people have been using it.